All our Arc Flash clothing can be branded for your company. Branding of garments helps identify your team in the field, reinforces to your team that they are part of a bigger family and the values that come with that. Your customers and even members of the public can identify your team with ease and recognise the important service they provide. At ProGARM we can also develop bespoke Arc Flash garments, with specific features and in specific colours if that’s what you require. 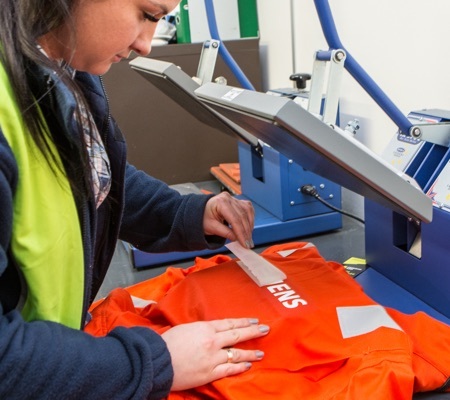 However, if you are looking to brand our standard range of Arc Flash garments, branding must be implemented in a way that doesn’t threaten the integrity of the garment and ensures compliance with the original CE certification. There are two ways we recommend achieving this with ProGARM clothing: FR Heat Transfers and FR Embroidery Threads. FR Heat Transfers can provide an exact replication of your company logo using any Pantone colour, ensuring consistency across your workforce and business. Transfers are pre-ordered in bulk and we can apply them to your garments before dispatch using an industrial heat press. This is a simple and effective way of displaying your brand on Arc Flash clothing. FR Embroidery Threads maintain the integrity and safety of our Arc Flash clothing. Standard threads of polyester blends can become a hazard when exposed to flame. 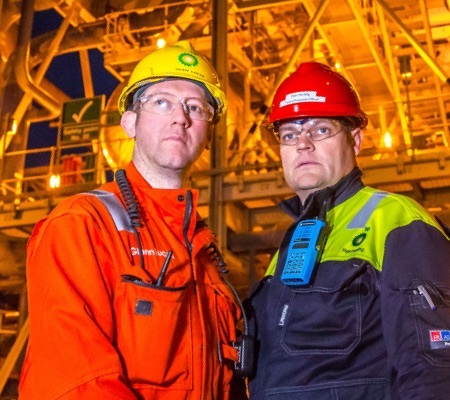 They can burn, melt or drip, causing injury to the wearer in an Arc Flash or flash fire incident. This is especially dangerous when designs are heavily stitched. ProGARM recommends the use of Flame Resistant threads to maintain protection throughout the garment.